Want to Tackle Pediatric Diarrhea? There’s an App for That! I was curious and wanted to learn more. Leung received $806,000 from the Gates Foundation to develop and test a smartphone app to help clinicians determine the cause of diarrhea in young children. According to Leung, clinicians working in resource-limited settings frequently do not have the ability to order labs to identify whether a virus or bacterium is responsible for a bout of diarrhea. Instead, they rely on their gut instinct with some guidance from the WHO International Management of Childhood Illness guidelines on when to prescribe antibiotics. The following excerpts from a conversation that I had with Dr. Leung about this new app. Tell me about the app. Decision support apps for infectious disease are not common, especially ones targeted to clinicians in resource-limited settings. We are trying to make an app that will help a clinician decide how to manage a child with diarrhea, such as the likelihood of the need for antibiotics. Most decision support tools gather clinical information for the patient in front of you and computes the probability that that patient has a certain diagnosis. The cool thing about our approach is it includes “pre-test odds.” It includes information about past patients, as well as climate and seasonal patterns. We believe that these “pre-test odds” will help increase the predictive performance of the app. Doctors already do this intuitively – say the last 20 patients have a certain symptom like bloody diarrhea, a sign of a bacterial cause, there is a good chance that the next patient has the same cause. Climate also plays a role. Rotavirus is more common in the winter and some diseases like cholera occur with monsoons. We can do this type of analysis because we have clinical and disease-causing data from the GEMS dataset, which includes very detailed information gathered from 10,000 children with diarrhea in seven low- and middle-income countries. How will doctors use the app? The doctor will have a patient in front of them. They will enter certain features of the patient into the system – age, breast-feeding status, presence of fever, type of diarrhea, vomiting, duration of illness. With this information along with data from previous patients, the app calculates the probability of whether the illness is caused by a virus or bacteria. The app will help doctors as they consider whether or not to prescribe antibiotics. 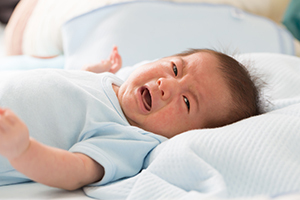 Why is it important to monitor pediatric diarrhea? Antibiotic misuse is a problem in many countries. Antibiotics will not help a viral bout of diarrhea. Over prescription of antibiotics may increase the rise in resistant bacteria in some communities. Also, there are side effects of antibiotics, including causing the overgrowth of bad bacteria in the gut. At the same time, under-using antibiotics can lead to children having difficulty resolving their infection or increase the spread of infection. We are looking to increase appropriate use of antibiotics. The pilot study will be conducted in Bangladesh and Mali. Why these two locations? We wanted to look at the uptake of the app in different settings south Asia and Africa where there are large populations of children suffering from diarrhea, and where clinicians have limited resources. We are partnering with institutions experienced with clinical studies of pediatric diarrhea in both locations. We also have lab infrastructure at both locations to test stool. In the first phase of the pilot study, we will test the stool of children with diarrhea to confirm that the app works and is predicting accurately. The second phase of the study will roll out the app in a randomized fashion. We want to compare outcomes where the app is in use to those where it is not in use to study how the app is used by clinicians. What role will culture have as you develop the app? Our goal is to increase the tools available for clinicians to tackle disease. A big part of this project is to figure out what are the decision-support needs of clinicians around the world. We are going to conduct a survey to ask clinicians about how an app can help them, and what they want to see in one. Could this app be useful here in the United States? Even though there is much higher capacity for testing stools in the United States, the issues around appropriate use of antibiotics and appropriate use of lab testing are prominent. We have a grant from National Institutes of Health to develop a similar prediction tool in the United States to help clinicians predict whether a child has a viral cause of diarrhea or not. We could use this app in the same way to identify instances where a child with diarrhea will benefit from further lab testing. Could the app be adapted to monitor other diseases? We are creating this app for diarrhea but we and others are interested in doing something similar for other illnesses, like influenza, typhoid, or malaria. I anticipate that in the future more apps will be developed to help clinicians manage infectious disease in places without easy access to laboratory testing. Leung is joined on this project by Adam Levine, MD, at Brown University, and Eric Nelson, MD, PhD, at University of Florida with consultations from Karin Kotloff, MD, at the University of Maryland, and Dennis Chao, PhD, at the Institute for Disease Modeling.